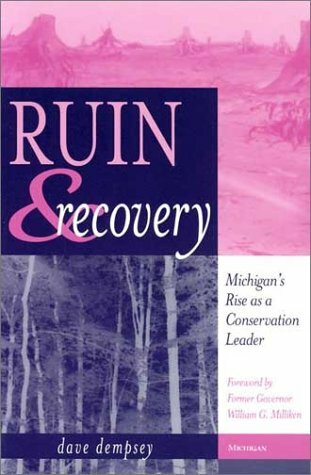 Recovery's discussion of this first turning point is from historical records and the later recollections of survivors of the ruinous 1908 Metz forest fire in northeastern Lower Michigan. The second turning point came in the late 1960s, when water and air pollution prompted public outrage. This controversy is brought to life through interviews with local residents, scientists, and agency officials who observed the Kalamazoo River to be the most polluted in Michigan. Both turning points set the stage for the historic eras of rebuilding that followed. Dave Dempsey is Policy Director of the Michigan Environmental Council, a statewide environmental coalition. Dave Dempsey is Policy Director of the Michigan Environmental Council, a statewide environmental coalition. Forced to be First: Banning the "Hard Pesticides"